Chaque fois que je lance Opera, plusieurs extensions dont Ghostery demandent à être réparées. Leurs icones sont manquantes dans la barre prévue, une pièce de puzzle les remplace, inactive. (despite "opt-in" for data sharing/collection is not checked). Ghostery no longer updates on Opera 12. Nor does it block google analytics. No blocks on android device manager. "Does Not work well with Disqus. Trying the onetime allow button >>> it reloads page but Disqus is still blocked." If I had to boil it down to yes/no, I'd say no. Ghostery is a good tool, but there are better ones out there that are more transparent about what they do, who owns them, and how they work behind the scenes. I always found ghostery rather bothersome when I tried it some years ago. Always found it easier to use Trueblock, and to tell Mozilla/Firefox/SeaMonkey to prevent 3rd party cookies & to let me choose which cookies to allow. Does Not work well with Disqus. Trying the onetime allow button >>> it reloads page but Disqus is still blocked . On site vk.com when try to reposting, there is not appear reposting frame. But when vk.com add to white list in Ghostery, all reposting are normally comes. Хочу удалить расширение, но почему-то полностью не получается. В управлении расширениями удалил, и теперь его там нет, но. Он продолжает работать в браузере и присутствует возле поисковой строки. Также на этом сайте мне пишет, что он установлен. Как мне от этого избавиться? It doesn't work.unable to open. Or is there any other process to activate it? Opera has been updated to v29.0.1773.0. And now everithing is OK with GHOSTERY! GHOSTERY is not fully compatible with new Opera Developer 29. After pressing clear all Opera history option (all from beginning), Opera crashes and don't start again. The option "--no-experiments" doesn't help. This way you lost all your Extensions installed before and have to reinstall it again, exept GHOSTERY. I can't reproduce the crash. You can't uninstall Ghostery and install it again? Nie mogę odinstalować rozszerzenia. Zainstalowałem go przypadkiem. bagaimana menghapus iklan d anedroid yang timbul silih berganti sampai mengganggu. Thanks for using Ghostery! If you would like some assistance, please feel free to email me at support@ghostery.com. I'll be happy to help! I have been trying to add Ghostery to my Nexus 7" android tablet for Opera browser. It will download but not install as it comes up with a message saying no app to install? please can you advise if and what app I require. BTW it installed in Opera on my laptop and the Firefox browser on this android Nexus? Cannot install Opera on Samsung Galaxy tablet (Android). Able to download ghostery-5.0.0.crx but nothing happens. Manually attempting install fails with cannot open file message. Current mobile solutions for Ghostery are Firefox for Android and IOS. We don't currently have an options for mobile Opera. Sorry for the inconvenience. Bug : On Opera Mobile Labs the top address bar is misplaced too high after loading a page. Please fix. Please update it for Opera 15+, to new webrequestblock API, this will increase performance. Why chrome and Opera next has different versions? since both support now same API you can just have one version ofr both (offcourse packaging will be different). Ah, so if you visit the Ghostery Opera extensions gallery page in Opera Next, you'll be able to install the new Chrome-derived Opera Ghostery. We are going to standardize on a single (major) version number across all browser in our next big update. Version numbers now sometimes differ in name only. As you point out, Ghostery for Opera Next and Ghostery for Chrome are largely one and the same. We have one: 0.12.0 is built for Opera Next. You can install it from this very page if you visit it using Opera Next. Thanks for making Ghostery work better in Opera 11 with introducing v0.10.0. But there is still one very strange bug left in this version using Opera 11. If one is loading a local html file containing java script, the background color is not used for the whole screen but displayed only as a square just around the content of the page. Where there is no content anymore to the sides (top, left, right, bottom) there is no background color anymore, just plain white displayed. Strangely enough, this happens only after the first time of loading the page, meaning, when opening the html file, everything looks fine, but from the first reload on, this bug is constantly there. This problem is not apparent in v 0.9.6. And also not apparent in Opera 12 with any of the tested Ghostery versions. If Ghostery (0.10.0) is disabled, the problem is gone, if it is enabled but all trackers unchecked the problem is (still) there. Also, when the urls of the java script entries are set to uncheck of "Enable content blocking", the problem is still there. If the java script entries of the local html file are deactivated by adding a "!" between the "<" and "script", the background color is displayed just fine. So it's definitely something about java script entries in local html files. When the page is reloaded and this strange and ugly problem occures, if then the opera preferences are loaded and e.g. any site preferences are opened, closed again and the opera preferences are closed using "OK" instead of "Cancel" (without any changes made), the page is displayed as when loaded the first time, meaning ok. But with the next reload the bug is there again. i know ghostery has blocking option but i dont use it , four me its good to see web traffic. its great add on for opera. lth;bnt cdjb[ gblthfcnjd ghbcb,t cerb ,kzlb gblfhfcs!!! I am not sure what you mean by "incompatible". I can view the video just fine with Ghostery (and blocking) enabled. Does this really merit a one-star review? Does disabling blocking on the site help? To disable blocking, right-click somewhere on the site, click "Edit Site Preferences...", go to the "Content" tab, uncheck "Enable content blocking", and finally reload the site. Note that since Ghostery is currently unable to determine site exemption status, it will incorrectly report selected trackers as blocked on exempt sites. Yeah when I disable Ghostery the site works fine. Well seems like Ghostery didn't detect trackers in www.vk.com so I guess I'll add this site to Whitelisted sites. Facebook unreachable since ghostery has been set up. Opera shows Internal Connection Error. Enabling every Facebook connection does Not help. I can't reproduce ... Does disabling Ghostery fix the issue? What about restarting Opera? Could you please start a new thread on ghostery.com/feedback with more information about this issue? Opera or Ghostery opens a webradio stream when I'm opening Opera-->Extensions-->Ghostery-->Settings. It's the same when I'm closing Opera and restart it with activated Ghostery extension. Whem I'm running Opera in background from time to time Ghosery opens this stream. I don't know why. When I deactivate the Ghostery-Extension everythink is fine. But the problem remains even after updating to 0.9.7 and uninstalling Ghostery, restarting Opera and reinstalling Ghostery. So Ghostery is buggy and not an option for me anymore, unfortunately. In this version (0.9.7), if you delete the private data and exit opera, ghostery loses its configuration. So, when opera loads again the configuration wizard appears again in order to set set settings. ps. tested on ubuntu 12.04 and windows 7 SP1 ultimate. This is an issue with Opera 12.10 that affects all extensions that store extension preferences. Please subscribe to https://getsatisfaction.com/ghostery/topics/ghostery_wizard_opera_12_10 to stay updated. You could also report this problem to Opera. Oh, sorry for repeating the same issue. I had the same issue till i updated to v12.12 where you're given the option to untick "Delete settings and data for all extensions" which solved it for me. If this is still an issue, could you please start a new thread on ghostery.com/feedback ? 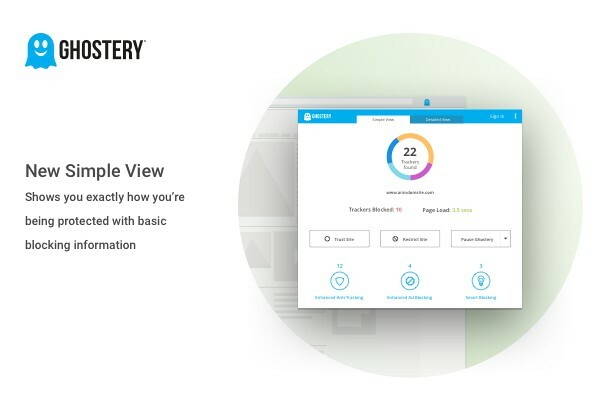 Sorry, I don't have any of the needed "login requirements" (google account, facebook, twitter and so on) and am NOT willing to get one just to report a bug in Ghostery. Sorry. It has problems to remember blocking settings in Opera 12.02 and Opera Next. After fighting for an hour finally, somehow, it started to work on Next. Could you please start a new thread on ghostery.com/feedback for this issue? But on my computer, right after I start Opera, properties wizard shows up and previously stored properties was not stored and I have to set them all the time. [copy/paste] I had the same issue till i updated to v12.12 where you're given the option to untick "Delete settings and data for all extensions" which solved it for me. We need a whitelist to allow full control in selected site (like the Chrome version). For instance, it blocks full use of fundraiser and/or non-profit sites (like Fundly.com) and the only way to make it usable, is to disable Ghostery altogether, because otherwise it takes 3 passes/refresh to click to all the options off (because after each "allow", it allows new ones to shop up that weren't showing up before). A whitelist would deal with that once and for all. "To exempt a site from blocking, right-click somewhere on the site, click "Edit Site Preferences...", go to the "Content" tab and uncheck "Enable content blocking". This is due to limitations in Opera's current capabilities. We will implement site whitelisting controls in Ghostery soon after Opera provides a way to do so. Also, www.ghostery.com/feedback is the best place for Ghostery bug reports/suggestions/discussion. To exempt a site from blocking, right-click somewhere on the site, click "Edit Site Preferences...", go to the "Content" tab and uncheck "Enable content blocking". Generally, www.ghostery.com/feedback is the best place for Ghostery bug reports/suggestions/discussion. Does unblocking eBay Stats help? Blocking facebook (propably other socials too) in iframe prevents window.onload event from firing, thus breaking functionality of many pages using it to initialize/download some additional things. Could you please start a new thread on ghostery.com/feedback with more information about this issue? You should provide some example pages, in particular. "Almost full detection of tracker scripts"
I am not sure what you mean. Could you start a new thread on ghostery.com/feedback with a screenshot illustrating the issue? okay, i was probably wrong on the meaning of the quotation. Guess it could be a bit more specific, highlighting differences of exempting scripts vs exempting sites. The extension prevents logging into Pandora Internet Radio. Could you start a new thread on ghostery.com/feedback with more information about the issue (which page it is on, and what Ghostery reported found/blocked)? Will do. One thing to mentioned, I have pandora.com set to no blocking through personal site preferences (right click, site preferences). I may have stopped experiencing this issue for some reason. Thanks for being responsive, anyway! When blocking "Facebook Connect" on 9gag.com, Opera is unable to load next posts. Could you please add to/+1 that topic? Ghostery block the right menu of DeviantArt website. And the popup doesn't appear correctly. Could you start a new thread on ghostery.com/feedback with more information about your popup appearance issue? When we start browser with many tabs opened addon seems to skip webbugs. It seems to be still in loading progress while browser already showed most of those pages. However when we reload such page it blocks what it should. This observation is made on async FB widget. Could you start a new thread on ghostery.com/feedback with more information about your setup (example: these are the pages where Facebook should have been blocked but wasn't when restoring tabs on browser start)? Sure, will do. However it is not only FB widget (but thanks to it I just spotted this behaviour), it is also +1 button and any other script. Seems that Ghostery addon loads too slow (as a last) when all the tabs are already loaded. Of course this happens only on browser's start. Version 0.9.5 TERRIBLY slows down Opera. For instance, try to open wikimapia.org with this extension, then try without it. We'll look into this. Thanks for reporting! it might just be a cosmetic issue but ghostery looks much better when used in 'chrome'...see screenshots. are there known issues and can it be fixed please ? The scrollbars should not be there. I have not received any other reports of this issue yet. Could you start a new thread on ghostery.com/feedback with more information about your setup? bug still exsist : http://www.ceneo.pl/9356177 , click on "Zobacz także na Allegro". This isn't a bug, actually, as Ghostery instructed Opera to block Gemius, and Opera is correctly blocking the redirect. However, Ghostery can do a better job of explaining what's going on in situations such as this one. This is planned. Brightcove is a tracker that powers videos. You have to unblock Brightcove in order to watch videos powered by Brightcove. 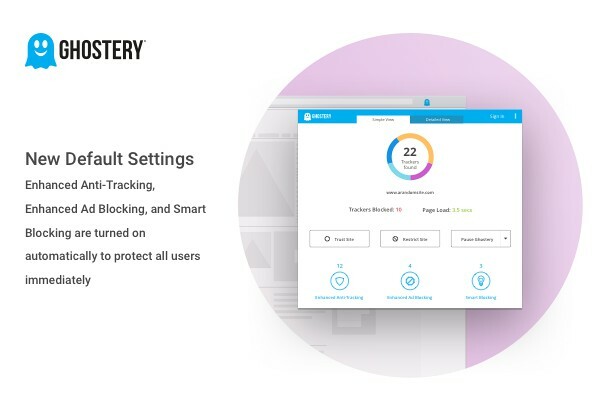 We plan to explain the relationship between certain trackers and useful functionality better in future versions of Ghostery. vkontakte button is not blocked. What page is this happening on? Ghostery slows down computer on http://www.wykop.pl/blog/ (high CPU usage). Using 11.60 Beta, Build 1147, and getting blank popup window. I realize this is a known problem, but what exactly do you mean when you say you're "tracking" the issue? How long does it take to correct it? As someone else said, this is not just a minor defect; it makes Ghostery 100% unusable. Ghostery 0.9.3 was just released to provide a temporary workaround for this problem. The findings popup has been fixed in height until the root issue is fixed in Opera. Since some updates to Opera I can no longer see, those who is mark in the blue ghost of the extensions Panel, can repair you his, thanks much. Somtimes when I click on the ghostery icon to see the list, I see an empty popup. I even tried this page. So basically I see the plugins appear on the top right corner, but when I want to see the detail by clicking the ghostery icon, all I see is an empty popup. I want to report one issue. This extension shows items that are already blocked by Opera's content blocker. I know you cannot read what's already blocked, but you can ask user to provide you with content of urlfilter.ini. And now to fix one. To fix issue with pop-up in Opera 12, set dimensions of pop-up when you create toolbar button and don't change them during runtime (until at Opera's fix this bug). Re asking for urlfilter.ini as a workaround: good idea! We'll consider adding that to Ghostery for Opera. Re popup in Opera 12: The popup is a different height on every page. The popup's height also changes when you click on "Edit Blocking Options". Setting the popup to be really tall is a quick workaround, however, if it works. I'd much rather have it be fixed in Opera itself, however. Yeah, I know it's dirty hack, but it's only one I know of. I tried there first, but it requires registration. I had the same problem in 0.9.5 I think- I solved it by typing in the widget:// or file:// url which the plugin uses and then right-clicking -> edit site preferences -> content -> disable the content blocker. Same here... Ghostery works (? ), but no bug list is showing. This only happens on the 12 pre-alpha. I have both Ghostery and AntiBrowsniffer, but while Ghostery is disabled, Opera seems still losing focus. I believe that AntiBrowsniffer causes this so I reported it there. Do you have any further observations - which extensions do you use simultaniously? One more issue about Ghostery - it doesn`t work well on canyon.com - it makes some parts unclickable. “Blocking all trackers” but adding just one exception will not block newly added trackers. Expected result: new trackers to be blocked by default. Actual result: when you uncheck one tracker, you change the default for new trackers from block to allow. There should be an option to block all new list additions by default. The ability to set what to do with incoming bugs is in the works. The alert bubble is affected by the page style on this page. I suggest you add a namespace porefix to your classes to avoid conflicting with pages: oext-ghostery-classname. Thanks for reporting! This will be fixed in the next Ghostery version. Fixed in 0.9.2, out now. :) thanks for opera's ghostery extension. Ghostery sometimes makes the PC and opera 11.50 hang for about 10-20 seconds on some sites and uses 100% CPU at that time. Ghostery 0.9.2, out now, comes with further performance improvements. Please let us know on www.ghostery.com/feedback if this is still an issue. Getting a Ghostery splash page (in a tab) every time I start up. Either completing the wizard or clicking the "Skip Wizard" button should prevent it from coming up again. Same problem here: Opera Next 12.50.1546, _x64_ build. Had no such problem with the older Opera Next 12.50.1497 _i386_ build I've just switched from. We just released 0.9.1, which significantly improves performance in Google Images on Macs, and somewhat improves it on Windows. The next release will have more performance improvements. By the way, www.ghostery.com/feedback is the best place to report problems, make suggestions or ask a questions. I do have a question regarding the color underneath the number of "bugs" found. Scenario with OPERA: e.g. going to lifehacker.com, Ghostery's findings are colored _RED_ and when I click the Ghostery icon it shows me numerous entries being _STRUCK THROUGH_, where I'd be interpreting the latter as 'it's being taken care of, it was blocked". Then again it's red?! Scenario with SRWARE IRON (Chromium based): going to lifehacker.com, Ghostery's findings are colored _GREEN_ and when I click the Ghostery icon it shows me numerous entries being _STRUCK THROUGH_, which I interprete as 'it's being taken care of, it was blocked". Inconsistency or something not working properly? Just noticed, that Ghostery is not blocking e.g. doubleclick.net stuff neither in Opera nor SRWare Iron. I tried it on youtube.com and Ghostery is telling me that it found no bug. Excuse me, but I find that hard to believe, especially after I had a look at the page's source code. How many sites are on this "whitelist" which I firmly believe I didn't create? Could you post an example of what Ghostery should be detecting on youtube.com? Ghostery for Opera badge is green when nothing was found, and red otherwise. please let me apologize first; gave it kind of a bad start, as foremost importantly I would like to thank you for having brought this extension to Opera. Great stuff! Thank you very much for responding and clarifying the red/green in Opera. I tried to find information on this, as apparently different behavior in Opera/Chrome can be observed - at least that's what I tried to express in my initial post here. Regarding the example of youtube.com, I spotted ad-emea.doubleclick.net in the page's source code. Now maybe my limited knowledge makes me classify this wrongly as something Ghostery is supposed to be blocking and it's more of and advertisement nature than something 'tracking', which NotScript or AdBlock are supposed to be taking care of. However, I am looking forward to the upcoming verions. Generally, www.ghostery.com/feedback is the best place for Ghostery discussion. Roger that :) Will go to provided URL from now on. Thank you. Check Ghostery on Google Images. It really makes Opera use lots of memory and locks up Opera for 10-25+ seconds. Yep, I can confirm Opera being slower on Google Images with Ghostery running. Version 0.9. Let's see what the following versions will have to offer. Confirmed. But not only does Ghostery slow down Google Images, it freezes the entire browser and consistently screams "NOT RESPONDING" in the title bar. Ghostery is also freezing up Photobucket. Hope to see these issues addressed soon because this is an excellent and much-needed extension. 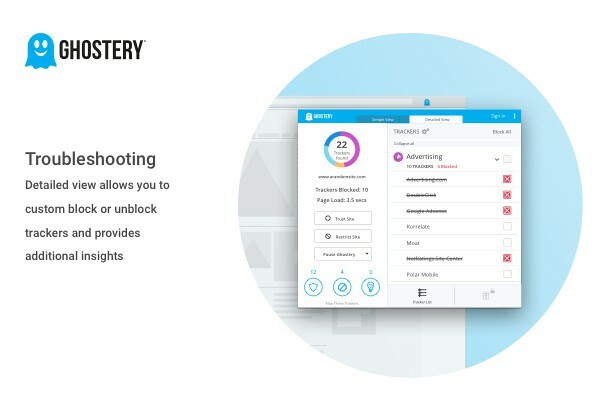 It's very frustrating to get freezing and lock-ups in Opera--it's something I've never experienced in this browser until installing Ghostery.